You are going to Watch Papa no Iu Koto o Kikinasai! Episode 8 English subbed online free episodes with HQ / high quality. 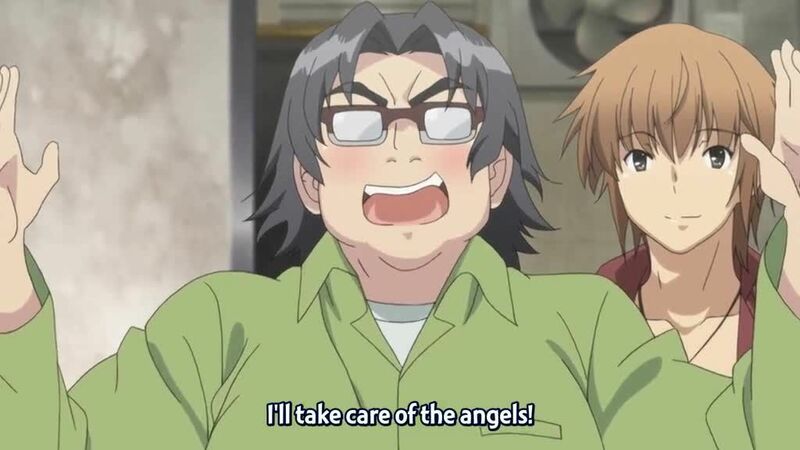 Stream Anime Papa no Iu Koto o Kikinasai! Episode 8 Online English sub I Won’t Let That Happen!. Yuuta begins apartment-hunting, assisted by Sora and the Street Observation Society. Meanwhile the landlady, Midorikawa Sawako, scolds Kurumi for being late with the rent; she makes Hina cry, causing her to get ice cream on herself and Sawako. As the two take a bath at Sawako’s home, Miu explains their situation to her. Yuuta returns to ask Sawako to postpone his eviction date. Now knowing his situation and charmed by Hina, Sawako’s mother, and the real landlady, cancels their eviction and draws up a new lease. 4.8 / 5 - 7 ratings.